I don't usually wear mascaras for casual makeup. For party and formal occasions, I prefer to accentuate the eyes with faux eyelashes. Whenever I do wear mascara, however, Kate Magical Long Gel Mascara is one of the mascaras I like to use. Magical Long Gel Mascara was launched in fall 2007, and an updated version of Magical Long Gel Mascara called Magical Long Gel Mascara N was released as part of Kate's spring 2009 makeup collection. Both are gel-based, and are only available in black. I have not had a chance to test out Magical Long Gel Mascara N yet. What I am going to share with you now is the fall 2007 version, Magical Long Gel Mascara. 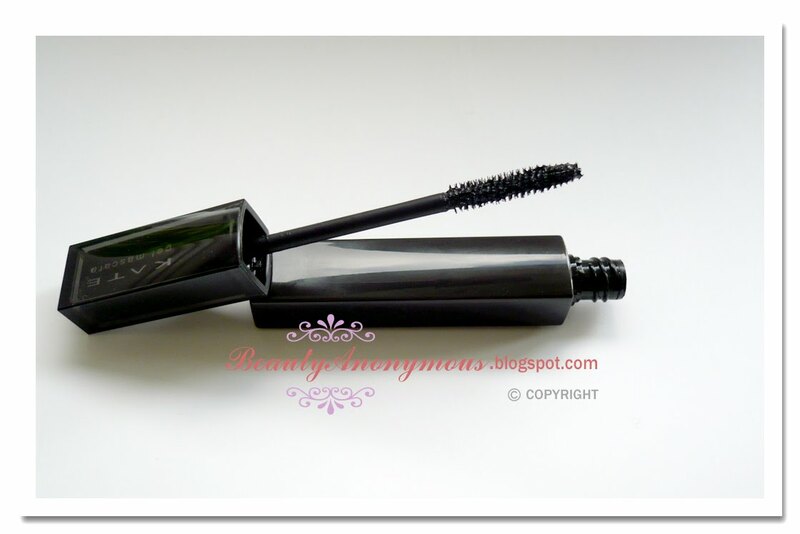 This mascara features a sleek black rectangular tube. The brush-type applicator is quite easy to apply. Though the name, Magical Long Gel Mascara, suggests that it has a full lash-lengthening effect, I found it gives a rather natural-looking lengthening effect than being dramatic. If you love full length defining mascaras like Lancôme L'Extrême Instant Extensions Lengthening Mascara or Dior DiorShow Mascara, Kate Magical Long Mascara is probably not what you look for. It separates and curls the lashes nicely. The formula is thin, but has buildable coverage. It doesn't make a dramatic result. It does, however, make the lashes appear slightly fuller, thicker, longer, and look natural. When it comes to mascara, I pay more attention to the clump-free and smudge-proof finishes than the lengthening and voluminous effects. 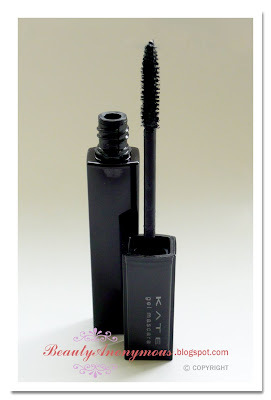 Kate Magical Long Gel Mascara offers a smooth, clump-free application, and resists tears, sweat and sebum well. It does not clump even if I apply this mascara back and forth as many times as possible. Note that this mascara is actually designed to be best removed by lukewarm water at around 40 °C (104 °F). I found a regular facial cleansing oil or eye makeup remover does not really take off Magical Long Gel Mascara effectively. Yes, lukewarm water does help remove this mascara much more easily, but not as efficient as I expected. It required a little more time and effort to thoroughly take off all the traces of mascara. That is the only drawback of Magical Long Gel Mascara that I can think of. Have you tried the new version, Magical Long Gel Mascara N? I am curious to know it performs. 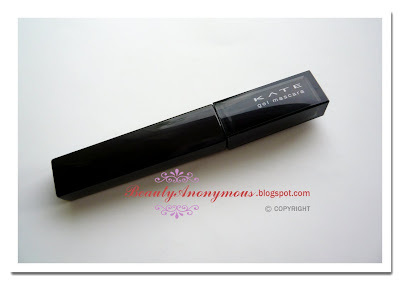 I just got Kate's Gel liner and love it, so I might check the mascara out if Kate still is 30% off next week. Thanks!